Today I’m looking at two books from Glagoslav Publications, who specialise in Slavic literature. I have a contemporary Russian novel for you, and a Belarusian classic. This is the first Belarusian book I’ve read (in terms of both country and original language). From what I’ve read about him, Vasil Bykau (1924-2003) is one of the most significant figures in Belarusian literature. Glagoslav’s edition of Alpine Ballad is the first English translation to be based on Bykau’s original, uncensored manuscript. During the later years of World War Two, a bomb explodes in an Alpine concentration camp. Ivan, a Belarusian soldier, makes good his escape. Shortly after, he comes across Giulia, a young Italian woman who was also being held prisoner in the camp. She doesn’t speak a lot of Russian, but through a mixture of that, German and Italian, the two are able to understand each other. We then follow them over the course of a few days as they try to evade capture and reach safety. Alpine Ballad is a briskly told tale, constantly in motion. Bykau’s action sequences, when Ivan and Giulia are on the run, are gripping. There are also some really affecting moments where it becomes clear how the pair are developing feelings for each other. Giulia has an idealised image of Soviet communism, which Ivan is quick to dispel. This combination of social commentary, romance and action makes Alpine Ballad compelling reading. Igor Eliseev is a Russian writer who writes in English; One-Two is his debut novel. This is the story of two conjoined sisters named Vera (our narrator) and Nadezhda – or Faith and Hope, as they are referred to throughout the book. The girls spend much of their childhood in a series of dismal institutions, including a foster home whose principal dubs them ‘One’ and ‘Two’, and where they’re subjected to much worse indignities than that. Eventually the sisters run away from the home and head to the city, hoping to find a place for themselves. One-Two is a harrowing book, as Faith and Hope travel a difficult road. The history of 1980s and ’90s Russia unfolds in the background, and there’s a sense that Eliseev is reflecting this in the personal story of his protagonists. As well as everything that happens to them from without, the girls face their own internal struggles, as their very different personalities come to the fore. There is the tantalising prospect that they may be able to undergo separation surgery, which leads the pair to wonder what it might be like to have their own individual body, for all that the consequences may be drastic. One-Two is an interesting character study, and a powerful tale of personal struggle. 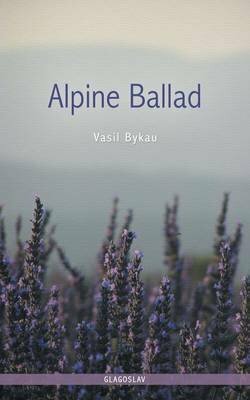 Alpine Ballad (1964) by Vasil Bykau, tr. Mikalai Khilo (2016), Glagoslav Publications, 206 pages, paperback (source: review copy). 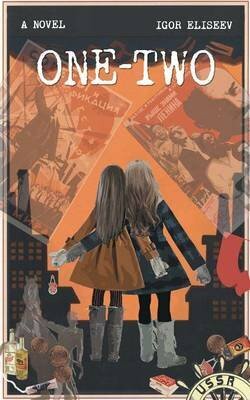 One-Two (2016) by Igor Eliseev, Glagoslav Publications, 244 pages, paperback (source: review copy).